As we start the new year, it’s time to look back on a successful and exciting 2017. A lot happened in 2017 at Ryte. The first most significant event was the launch of our new brand on July 19, as OnPage.org became Ryte. Then, in September, we received an investment of 3.1 million euros from our partners Senovo, Surplus Invest and pd ventures. Our new brand was also represented for the first time at dmexco – one of the biggest digital marketing exhibitions in the world. Now, the Ryte content team is also looking back over the past year, and here, we summarize some of our top articles of 2017. Google Analytics is one of the most widely used analytics tools out there. It’s free, and it provides a huge amount of data for your website regarding visitor behavior. For example, you can find out how visitors have found your site and you can track the conversion funnel. The data you can collect with Google Analytics is valuable for finding possible optimization potentials, and for tracking the success of your website. However, for Google Analytics to be effective, you have to ensure that it is implemented correctly, and that you evaluate the data correctly. There is plenty of scope for errors here, for example not implementing the tracking code correctly, not defining goals, or misinterpreting certain metrics. This article takes you through 12 potential errors that can occur when using Google Analytics. If you follow this advice, you can rest assured that your Google Analytics account is providing you with the data you need to properly evaluate your website. It can be a huge advantage if your website is displayed as a featured snippet in the SERPs. Your brand becomes more visible, your CTR increases, and, in voice search, if you are the featured snippet, your website is the one that will be read out, which is great for brand awareness. Being displayed as a featured snippet will ultimately bring you more visitors, and thus more conversions. You don’t even have to be ranked first – to be displayed as a featured snippet, you just have to be ranked on the first page. So, as long as you rank in the top 10 results, it’s worth optimizing your text and website structure to increase the potential of your webpage being displayed as a featured snippet. 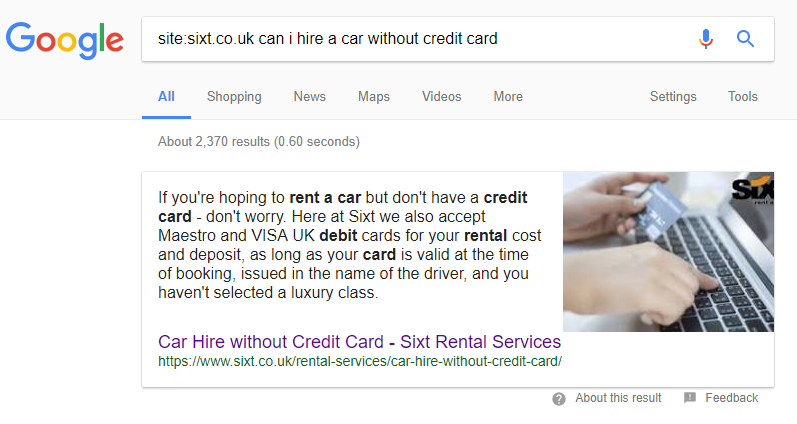 In this article, Izzi Smith from Sixt provides you with detailed tips and examples for winning featured snippets, giving your website the best potential to be found by your target group. In this article, Daniel Herndler gives a useful insight into the different types of featured snippet there are, for example paragraphs, lists or tables. It’s important to be aware of this when optimizing your website content for featured snippets, so that you can make sure your website content is structured appropriately. 404 errors and 404 error pages are a huge topic of discussion in SEO circles. Having a large number of 404 errors on your page can have a negative effect on the usability of your website – firstly, it’s irritating to come across 404 errors, and secondly, it stops the users from getting to the information they desire. A bad usability can have a knock-on effect – if your visitors are leaving your website in hurry, this will be reflected in your rankings. Setting up an interesting or funny 404 error page that offers your user added value can ensure that users stay on your website, and don’t return to the search results and potentially to your competitor’s website as soon as they come across a 404 error. This article provides you with tips regarding what a 404 error page should offer a user – a link to the homepage, alternative relevant content, or a search option. This way, the user still may find the content they’re looking for on your website. The importance of SSL encryption for websites has been increasing significantly. In August 2014, Google declared that https was a ranking factor. Just over a year later in December 2015, Google made it known that the HTTPS version of a website would be favored in its index. In August 2017, Google sent out an email warning web operators that, starting in October 2017, a “not secure” warning would be shown to users on an HTTP page when using chrome. An SSL encryption is not just important for Google. An SSL encryption means that the connection between the client and server are encrypted, and therefore visitors can enter data securely without this being seen by third parties. An SSL encryption can therefore also promote trust in your domain. In this article, we take you through the steps of encrypting your website, from choosing the correct SSL certificate, incorporating this onto your website, and to what details you should pay particular attention to. Voice search and voice interactions are becoming increasingly important, and there is a lot of potential to optimize website content to keep up with this trend. In this article, we explain in detail how website operators can make the most out of this new trend. There are three main ways of optimizing website content for voice search and voice interactions. Firstly, website operators should optimize content for the voice search – so that their content will appear as a featured snippet, and thus be the result that is read out. Secondly, website operators can implement voice interactions on their website to improve the user experience, and thirdly, they can implement skills to make their products accessible via voice assistants. 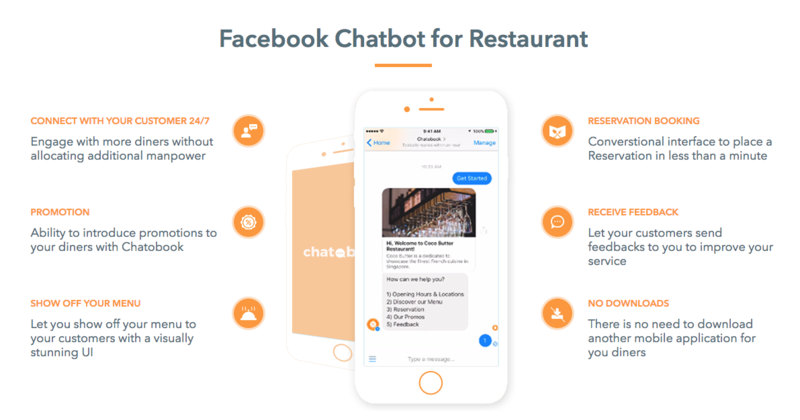 Chatbots are another significant current development, also providing you with a great deal of potential for brand awareness and finding new customers. Chatbots can be used by any website operator, but they are particularly useful for those heavily reliant on content, and they can be used in a variety of ways. For example, they can be used for email subscription lists for providing personalized messages, they can help you to connect to new groups of customers, and they can represent your brand in a creative way. In this article, Ben Kazinik explains the potential of chatbots in detail, shows you how to build them, and what providers there are. Google has recently changed the length of text that is shown in the snippet in the SERPs – this means that meta descriptions now have even more potential to entice readers to click on your website. A good meta description should clearly represent the content of your web page so that users know what to expect when they click on your page. As the meta description is the first thing of your website users will see, it’s also an effective way of building up brand awareness. This article gives you practical tips for creating the perfect meta description, and to find out how to achieve this with Ryte, have a read here. Thank you to all of our authors who have provided us with exciting articles over the course of 2017 – we look forward to receiving more guest posts and articles in 2018! If you’re interested in becoming an author for the Ryte Magazine, apply here.